Put-in-Bay Attractions | Places To See & Things To Do - Visit Put-in-Bay! Visit Put-in-Bay Attractions! Most Put-in-Bay Attractions require no advance reservations and are accessible for a small fee or are free of charge! Put-in-Bay offers one of the widest variety of attractions of any vacation destination and all are located within a 5-minute golf cart ride from each other and your Put-in-Bay Hotel or Resort! You can soar, ski, explore, fish, golf, and fly all in one location! Browse our informational listings below for info on Put-in-Bay Attractions and plan that vacation getaway today! Description: The Put-in-Bay Winery is one of two Put-in-Bay Attractions that are wineries and is located on the historic Dollar Estate on Bay View Avenue. This Put-in-Bay Attraction opened in May of 2009 with a winery exhibit that follows the process of the grape from a seed in the ground to its final resting place in a bottle of quality wine. The mission of the Put-in-Bay Winery is to assist customers in understanding the dynamics of wine. Guests are able to sample wines from across the region while enjoying a spectacular view of the Put-in-Bay Harbor. The Put-in-Bay Winery offers tastings as well as tours of the historic Dollar Mansion. Description: Considered one of the modern day founders of Put-in-Bay, the late Charles “Skip” Duggan started the Sunday afternoon car parades that are now a staple on the island. Many of these classic antique cars can be seen at one of the most popular Put-in-Bay Attractions, the antique car museum. Located in front of Perry’s Cave on Catawba Ave, the museum features rare Model T’s, road sign and gasoline sign memorabilia, and vintage snowmobiles. This is a FREE attraction appealing to the old and young. The museum is open May thru September 7 days a week from 10 am to 6 pm and on October weekends only from 11 am to 5 pm. Description: Operated by the Ohio State University thru the Ohio Sea Grant, the Put-in-Bay Aquatic Center offers visitors the opportunity to experience Lake Erie’s complex ecosystem thru hands-on science activities. One of the more educational Put-in-Bay Attractions, the aquatic center offers a fishing pier where children under 16 can fish Put-in-Bay for free and numerous educational programs on Saturdays such as Animals of the Lake Erie Watershed, Fun with Fish, Our Friend the Spider, Underwater Exploration and more. The aquatic center served as the State Fish Hatchery from 1907 to 1988 Group tours are available May thru October by appointment. Description: One of the more popular Put-in-Bay Attractions is the Butterfly House. Opened in 2004, this 4000 square foot aviary offers an up close and personal experience with hundreds of Butterflies. Lush tropical landscaping and flowers along with soothing music provide the perfect backdrop for your interaction with the Butterflies. There are secret walkways for the kids to explore as they interact with over 50 exotic species of Butterflies from all over the world. The knowledgeable tour guides teach how Butterflies are created, migrate and live. Adults are $8.00 Children 6 to 12 years are $5.00 and children 5 and under are free. The Butterfly house is open from Memorial Day to Labor day from 10 am to 7 pm and in the Spring and Fall from 11 am to 5 pm. Description: The South Bend Chocolate Company operates Put-In-Bays own Chocolate Museum where tours are free. Visitors can learn about the rich history of chocolate’s and sample over 100 varieties of handmade chocolates. The chocolate museum features a large number of exhibits detailing the history of chocolate which originated in Central and South America and spans over 2000 years. Stop by for a morning coffee or an afternoon hand-scooped ice cream or milkshake. Put-in-Bay Attractions don’t come much sweeter than this! Located in the heart of downtown Put-in-Bay, DiRivera park offers families a spectacular view of the Put-in-bay Waterfront complete with playground equipment for the kids and BBQ grills and picnic tables for a family cookout. A great place to take your carryout meal from one of our great Put-in-Bay Restaurants The large Gazebo in the center of the park has hosted many wedding ceremonies and family gatherings. A bathhouse offers travelers and boaters a place to shower. Lockers for a fee offer a place to store articles while you Visit Put-in-Bay. Description: One of the most popular Put-in-Bay Attractions with the kids is the Fort aMAZE’n challenge. After you purchase your Maze passport, punch your time and compete as a team or individually to locate special destinations and stops along the way. Find the exit and punch your time to see your progress. There is an observation tower for parents to watch and a friendly staff to assist the kids. The first Maze passport is $5.00 and each passport thereafter is $2.50. Children 5 and under are FREE. The maze is open weather permitting May thru September from 10 am to 8 pm and weekends in October from 11 am to 6 pm. Located at the Perry’s Cave Family Fun Center, the Gemstone Mining Experience offers hands-on on experience to discover fossils and gemstones. After purchasing a bag of rough mix, pan your mix with water to discover your gemstones. You can purchase an uncut Geode and their trained staff will cut the Geode in half to reveal it’s inner beauty. Gemstone Mining prices for Geodes range from $7.00 to $23.75 Gemstone mining rough mix bags are from $6.25 to 10.42 per bag. Open May thru September from 10 am to 6 pm. April and October weekends only from 11 am to 5 pm. Description: The Lake Erie Island Historical Society operates a museum representing the history of all of the Lake Erie Islands. Located behind the Put-in-Bay Town Hall, the museum offers a glimpse into the rich history of the Lake Erie Islands with numerous educational exhibits and displays. The Historical Society also operates a resale shop where you can purchase your piece of island history. Admission for Adults and Children is $4.00 Seniors $3.00, Children under 5 and Veterans are free. Description: Ride Put-in-Bay’s original 1917 Herschel carousel where children young and old enjoy one of the last operating merry-go-rounds in the country from this era. Ride tickets are purchased in the Carriage House shop adjacent to the Merry Go Round. Located on Gibraltar Island in the Put-in-Bay Harbor, The Franz Theodore Stone Laboratory is the United States oldest biological freshwater laboratory. Operated by the Ohio State University, students are able to take college classes in numerous areas of study. The Stone Laboratory offers an Aquatic Workshop with over 5000 children attending annually. Towering over 300 ft tall the Perry International Peace Memorial is likely the most popular of Put-in-Bay Attractions. Visitors for a $5.00 fee (16 and over) can travel up inside the Doric column to an observation deck where on a clear day you can see all of the Lake Erie Islands, Cleveland, Toledo, and Detroit. Historical reenactments and history lessons are given by park rangers. For more detailed information about the Perry Peace Memorial please visit the Put-in-Bay History Page. Description: If you have the need for speed while at Put-in-Bay the Put-in-Bay Raceway offers remote controlled cars that cruise around the race track in excess of 50 miles per hour! Compete with family and friends and see who is king of the rock! Located west of the downtown area the Put-in-Bay Yacht Club promotes sailing, power boating and other types of aquatic sports. The Put-in-Bay Yacht club hosts notable events such as the Swim Sail program, Inter-lake Yachting Association events including power and sail regattas, Junior Bay week and numerous social functions, picnics, parties and cruise outs. The Put-in-Bay Yacht Club has docks located at Put-in-Bay for additional information on docks please visit the Put-in-Bay Docks page. Constructed in 1965, Sauders Golf Course offers visitors a 9 hole par 3 golf experience with a beautiful Lake Erie Backdrop. 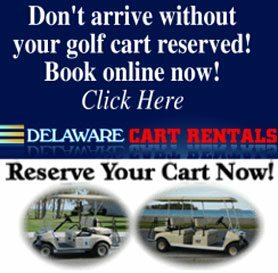 The Put-in-Bay Golf Course is a short course, walking only and no carts are allowed. Reservations are not required and groups are welcome. Open to the public, the Put-in-Bay Golf Course has clubs available for rent. The course is located near South Bass Island State Park. The Stonehenge Estate is another of many popular Put-in-Bay Attractions. Seven acres of historic buildings highlights life and island history from the 1800’s to present day. The estate offers a self paced audio cassette guided tour of the property and a gift shop. This attraction is currently closed and for sale. The Adventure Bay entertainment complex is located behind the Put-in-Bay Resort & Conference Center in downtown Put-in-Bay. Visitors of all ages will enjoy batting cages, Electric Go Cart Racing on a challenging race track, the latest in modern arcade games and games of skill with prizes, Brunswick Bowling Machines and a stuff your own collectible animal display. A pool is open to the public. A sand volleyball pit is a perfect location for families to spend an hour or so competing. One way to see most all of the Put-in-Bay Attractions is about the Put-in-Bay Tour Train. This one hour narrated tour of Put-in-Bay travels the island pointing out places of interest and historical significance. The Put-in-Bay Tour Train offers the ability to get on and off the tour if you stop at a place you are interested in. The cost for the tour train is $10.00 for adults, Children 6-12 are $5.00 and children under 6 are free. The Put-in-Bay Tour Train picks up at the downtown Depot building at the corner of Delaware & Toledo Streets. Memorial Day thru Labor Day hours are 10:15 am to 5:15 pm with trains leaving every half hour on the quarter hour. A covered bridge, waterfall cave, and winding paths challenge even the most experiences Miniature golf buff. Add a historical twist and you can see why the War of 18 holes is one of the popular Put-in-Bay Attractions. The course is lushly landscaped and fun for all ages. A round of golf is $8.00 for adults and children 6-12 years old are $5.00. Children 5 and under play free! The course is open weather permitting May thru September daily from 10:00 am to 8:00 pm. October weekends from 11:00 am to 6:00 pm. The Crystal Cave is located at the Heineman Winery, Put-in-Bay’s oldest winery. In 1897 while digging a well for the winery, workers discovered the cave and what appears to be the worlds largest geode. Ranging from 18 to 8 inches long, these crystals were harvested and sold to produce fireworks. During Prohibition, the cave and its tours saved the winery from closing. Tours are offered of the cave and are $8.00 for adults and $4.00 for children 6 to 11 years of age. Tours operate 7 days a week from early May until late September. Monday thru Saturday tours are offered from 11 am to 5 pm and Sunday from 12 pm to 5 pm. Description: The Jane Coats Wildflower Trail is a nature trail owned by the Put-in-Bay Township Park District and protected by the Lake Erie Islands Conservancy. Located 1/4 mile North of the Maple Leaf Cemetery on Put-in-Bay Road, the trail is a perfect place to bird watch or to stroll and enjoy the abundant flowers and tree species. Description: Put-in-Bay Jet Ski Rentals are located at the edge of town and features late model Jet Skis and the proper safety equipment to ensure a fun-filled safe experience. Rental rates are $60.00 per hour. Instructions and lessons are available for first-timers. Reservations are accepted and recommended for larger groups. Description: One of the newer Put-in-Bay Attractions the Lake Erie Water Trails are five separate paddling trails abound the 5 major Lake Erie islands, North Bass, Middle Bass and South Bass Islands as well as the near shore of the mainland Marblehead and Catawba. Paddling has become a popular form of exercise and what better way to explore the beauty of the Lake Erie islands with its rich cultural and historical diversity. Access points are identified on maps and on land by a sign with the Lake Erie Water Trails logo. Put-in-Bay Parasail and Captain Jason Hall have been offering the ultimate in Put-in-Bay Attractions for years. Join thousands of people who have safely soared hundreds of feet in the air enjoying a beautiful view of Put-in-Bay Ohio. You have the option of going single or double as you are buckled in a parachute harness and hanger and gradually lifted from the back of the boat into the sky. At the conclusion of your ride the winch and cable system brings you right back to the boat for a soft landing. Reservations are recommended. Call for current rates. Description: Put-in-Bay Watercraft Rentals is your one-stop shop for family and couple fun at Put-in-Bay, since 1992. Located in the beautiful South Bass Island State Park and launching right on the beach. Their designated riding area starts 300 feet right offshore. Hours are 10am-6pm every day from Memorial Day to Labor Day weather permitting. All safety equipment and training are provided at no charge. Our most popular item is the fast and stable Yamaha Waverunner for one or two passengers. No speed governors, just really good safety instructions for our customers. Never been on one? No worries, they train new captains every day and never sent anybody out before they are comfortable and know what they are doing. They also offer Ocean Kayaks for one or two people, Single Stand-up Paddle Boards, and Small Power Boats for up to 4 adults and a child. Put-in-Bay Watercraft Rentals also offers Sightseeing Tours for up to 6 passengers with a Licensed Charter Captain where you can go around the downtown harbor or around whole the island! Custom excursions are welcome; just let them know where you’d like to go. They do take walk-ups but recommend making a reservation to save time Book and confirm your excursion with just a few clicks right now at their website. Put-in-Bay Watersports offers visitors the opportunity to experience kneeboarding, tubing, and wakeboarding behind a 21 foot 260 HP boat with a licensed US Coast Guard Caption at the helm. The boat is also available for charter to enjoy island hopping or a sunset cruise. The Put-in-Bay Rock Wall climb located at the Perry’s Cave Fun center offers 4 different climbs with varying degrees of difficulty. The 25 ft high wall is supervised by a trained staff who will ensure your safety thru a harness and rope. Each wall climb is priced at $8.00. The wall is open weather permitting 7 days a week from 10:00 am to 6:00 pm from May thru September and on October weekends only from 11:00 am to 5 pm. Description: The Heineman’s Winery was established at Put-in-Bay in 1888 by Gustav Heineman. The winery raises their own grapes and produces over 21 varieties of wines that are well known across the northern half of Ohio. The Heineman’s Winery has won numerous awards and recognition throughout the winery’s existence. Tours of the Winery are given with a complimentary sample of wine or grape juice at the conclusion of the tour. Wine and juice are sold by the glass or bottle and the winery offers convenient carry home packs. The winery to this day continues to be family operated by its founders grandson Louis, great-grandson Edward, and great-great-grandson Dustin. Another one of the Put-in-Bay Attractions offers a high flying way to tour the Lake Erie Islands. Put-in-Bay Helicopter Tours are offered by Paratus Air. Generally, tours are flown from the second weekend in May thru the end of September. Several tour options are available and custom charter tours can be arranged in advance. There are no words to describe the beauty of Put-in-Bay as seen from the helicopter tour! The Put-in-Bay South Bass Island Lighthouse is owned an operated by Ohio Sea Grant. Visitors can access the top of the lighthouse to enjoy an expansive view of Lake Erie. The South Bass Island Lighthouse is listed on the National Historic Places Register. Individuals can tour the lighthouse for free and groups are $3.00 per person for a guided tour. For groups wanting to schedule a tour, please contact the Stone Labs Bayview office listed on the Put-in-Bay Attractions page.